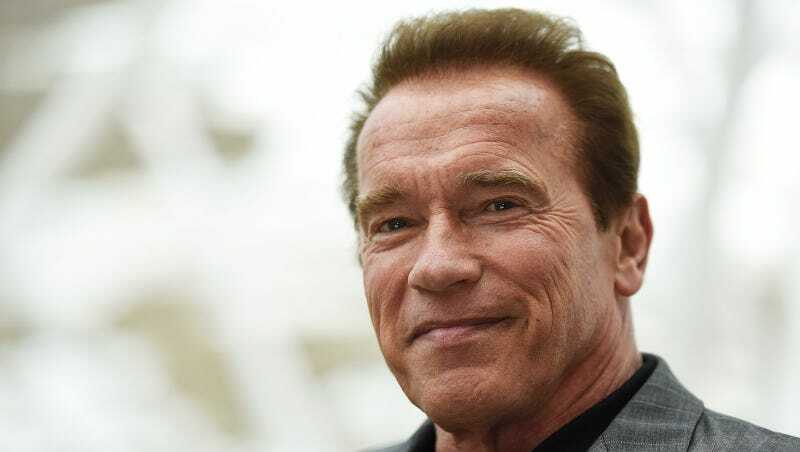 Of the politicians who have spoken out about Donald Trump’s heinous Tuesday press conference, it’s fair to say that Arnold Schwarzenegger, the Austrian-born bodybuilder turned California governor has more experience with actual Nazis than most. In a video for ATTN, he tells Trump that there are not two sides to bigotry, and suggests Trump explicitly denounce the support of white supremacists. He even has a Trump bobble-head figure to play with. Though the message is welcome and well-delivered by someone who made his living onscreen for the majority of his life, let’s remember that Schwarzenegger is a conservative Republican who vetoed bills that would have legalized gay marriage multiple times during his tenure in office. He also wrote an entire op-ed in 2006 about how Mexican immigrants should learn to speak English so their demands for equality would be heard. Actions speak louder than words, but at least these words strike the right tone.